At Carousel your child’s learning and development is very important to us, we ditched the paper learning journey’s back in 2013 in order to give our staff more time with your children. It’s your child’s learning and development recorded, cross referenced and saved as it happens – immediately. This minimizes time out of the room giving your child key worker even more time to support and interact with your child. Plus it also means that your child’s progress is always up to date, saved and ready to access immediately. We photograph your child’s art work as it is created and before the paint is even dry! 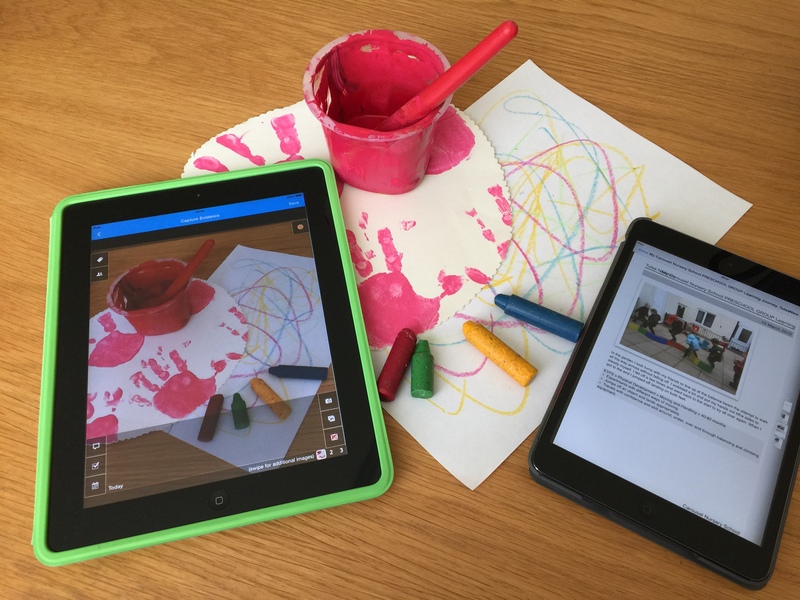 Meaning children can take all their work home and share their achievements with their family, the photographs we take support our observations and mean that you have a digital record you can keep forever. Parents/careers are able to access all the photos and videos we take in password secure parent portal linked to your unique email address 24/7, every month the most up-to-date version of your child’s learning journey will also be available online but your are more than welcome to see the in progress version at the Nursery at any time. PDF Learning Journey’s will once your child leaves for school be emailed direct and put on disc for safe keeping allowing you to print as many copies as you like, share with family and friends and keep forever without the worry of losing those important memories. Click here to download and info pack on how to access the parent portal. For more info on the Evidence for Learning App which we use click here.